Time to introduce you to Toto, the most famous French kid in French joke history! 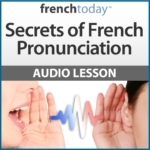 A fun French practice for the whole family. “Toto” is always represented with this drawing : zero + zero = la tête à Toto !! (0 plus 0 equals Toto’s head, see drawing). “Toto” jokes are very popular jokes among elementary school children, and there are thousands of them. They also have been part of the French culture for a while. – Papa! Tu vas être fier de moi! J’ai été le seul à répondre à la question du maître! – Et c’etait quoi la question? – C’était: qui a posé une punaise sur ma chaise? – Daddy! You’re gonna be proud of me! I was the only one who answered the teacher’s question! – And what was the question? – Alors Toto, tu as appris beaucoup de choses à l’école aujourd’hui? – So, Toto, did you learn a lot of things at school today? – Not enough, I guess [literally “anyways”], because they want me to go back tomorrow. – Toto, avoue que ton père t’a aidé à faire ton devoir. – NON! M’dame, je vous jure! – Toto, [do you] admit that your father helped you with your homework? – No! Miss, I swear he didn’t!